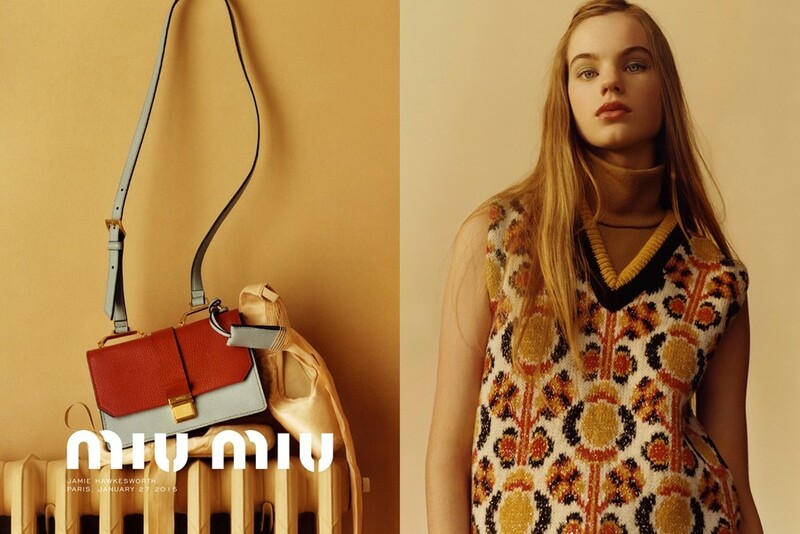 Prada came out with its pre-AW15 ad on Wednesday, and now it's Miu Miu's turn. This time, Miuccia Prada has re-enlisted Dazed 100 photographer Jamie Hawkesworth for the campaign, which stars 16-year-old Dutch model Estella Boersma. 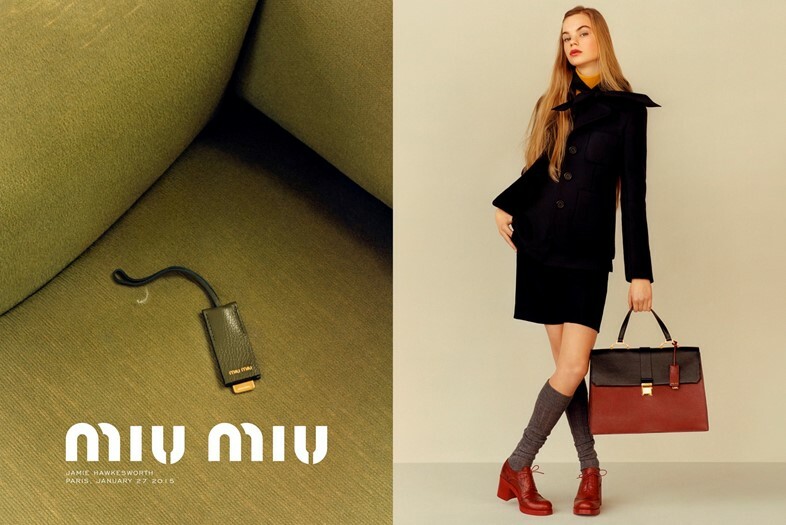 The new face was scouted while cycling down Amsterdam's cobblestone streets, and she is the definition of new: she made her runway debut in Miu Miu's AW15 show and was selected by casting director Ashley Brokaw for the Aoyama campaign, which was shot by Jamie Hawkesworth to celebrate the opening of a new Japanese store. Pairing Hawkesworth – who landed at number eight in the Dazed 100 thanks to run of stellar campaigns and exquisite editorial work – with Boersma obviously paid off, because the pair were reunited again for the pre-AW15 campaign. Boersma wears the 80s-inflected, girlish collection with all the casual nonchalence of the sleepy teenagers that Hawkesworth loves photographing so much. A match made in adolescent heaven.